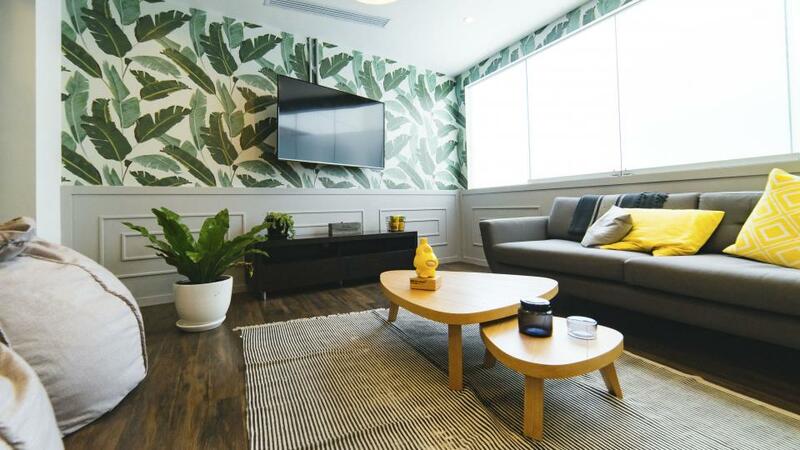 It can be tempting to want to keep up with the latest home decor trends, but there are some that you should keep at arm’s length . . . especially if you plan on selling soon. While you could surely install that intricate and unique tile in your kitchen, just keep in mind how much it will cost to revert back to a neutral pattern. From going with a wild wallpaper print to taking the rose gold trend too far, here are home decor trends that you should adapt in moderation. You might have noticed more purple in your social media feeds. It might be due to the fact that ultraviolet was deemed the Pantone color of the year. From full on purple rooms to accent chairs and front doors, purple is making a name for itself this year. However, just because it’s the color of the year doesn’t mean it’s a timeless decor trend that your future sellers will embrace, too. Be wary of embracing full-on color trends. Instead, why not add touches of the popular color in throw pillows or—if you must—a small piece of furniture. When you sell, home stagers will often tell you to go for a neutral palette to appeal to a wider range of buyers. However, this doesn’t mean you should go for a complete white out in your home. Too much white, from your walls to your tiles to your built-in bookshelves, can portray your home to be uninviting. It’s OK to go white in some areas, but try to mix up your color palette with other neutral tones like gray, beige or even a pale blue. Rose gold has been a home decor trend for quite some time now—from staplers to candle holders and coffee tables to kitchen faucets. But sooner or later, this bubble will pop. And you don’t want this to happen when you’re selling your home. Metals such as brass or copper look great and are on-trend now, but you must think about future homebuyers, especially since these are costly items you are purchasing to keep up with home decor trends. To save yourself from the heartache, choose metals such as chrome or nickel. We’ve all seen it—the moroccan tiles and tropical wallpaper in kitchens and bathrooms, the cement tiles among backsplashes and other intricate tile patterns. Not only are intricate, bold patterns distracting when you are selling your home in the future, they are also quickly outdated. Put a damper on your itch to incorporate a funky pattern by purchasing a rug, bedding or other nonpermanent home update.